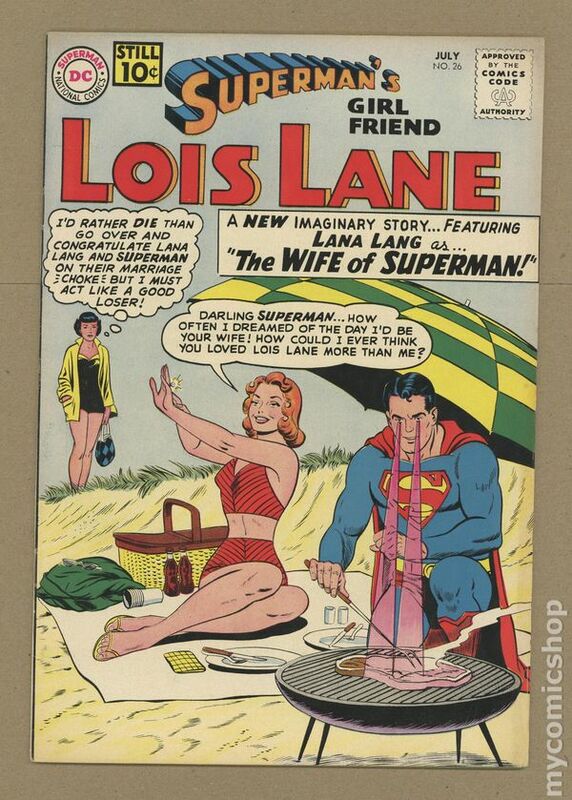 Published Jul 1961 by DC. 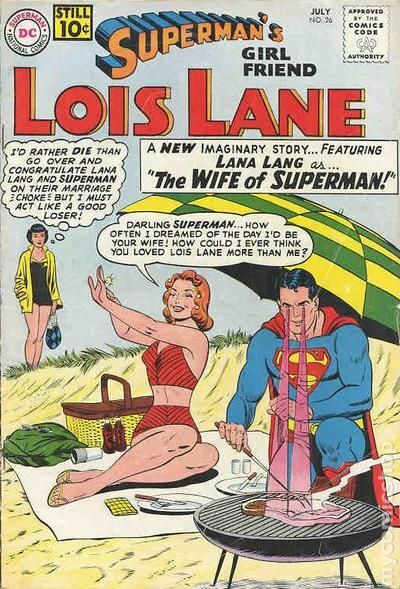 Cover pencils by Curt Swan, inks by John Forte. 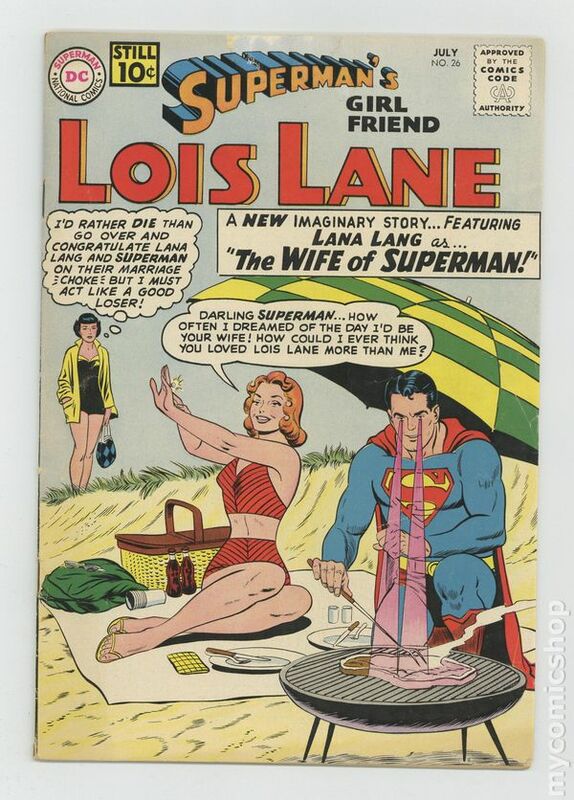 The Day Superman Married Lana Lang!, art by Kurt Schaffenberger; Superman marries Lana and gives his wife super-powers, crucially, Lana is immune to kryptonite and has to save her husband on numerous occasions. 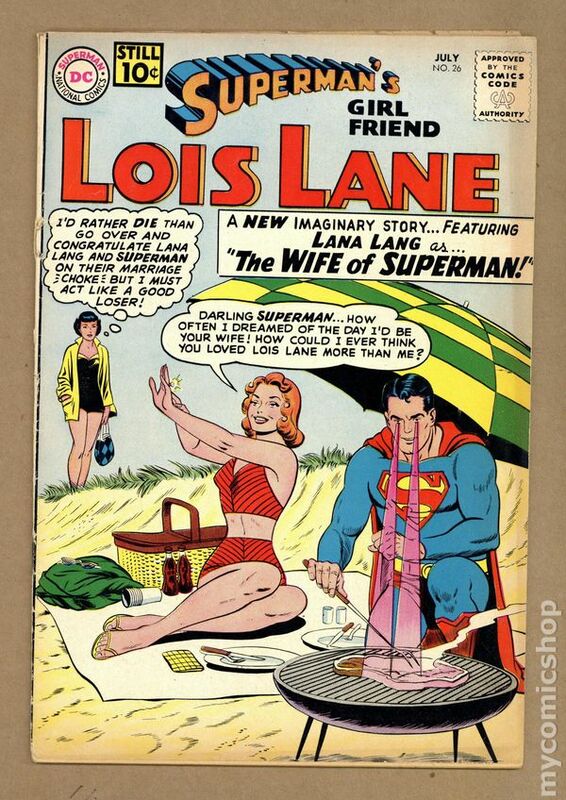 Lois Lane's Childhood, script by Jerry Siegel, art by Kurt Schaffenberger; Lois and Kal-El's childhood are paralleled on different worlds, amazingly the future Superman is still able to save Lois's life. The Mad Woman of Metropolis!, script by Robert Bernstein, art by Kurt Schaffenberger; "Killer" Meigs' men try to convince Lois she is going insane to get revenge for her helping put their boss in prison. 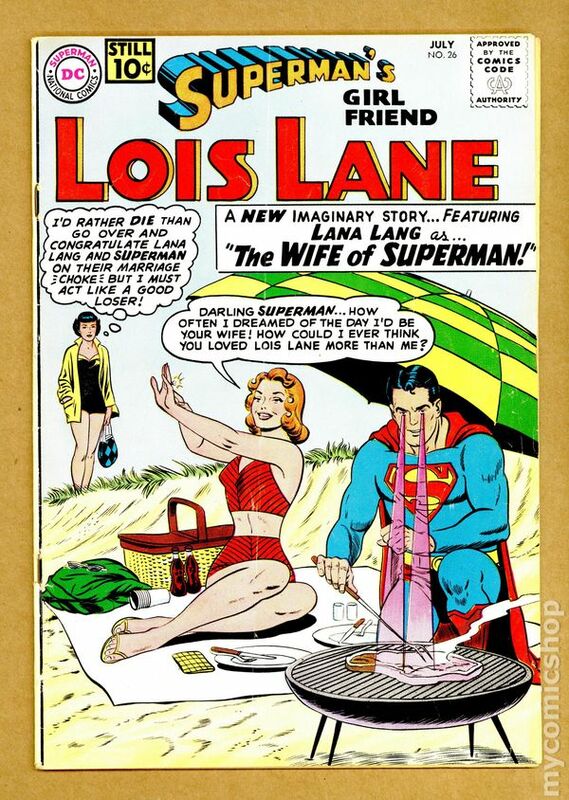 House ad for Superman Annual #3. 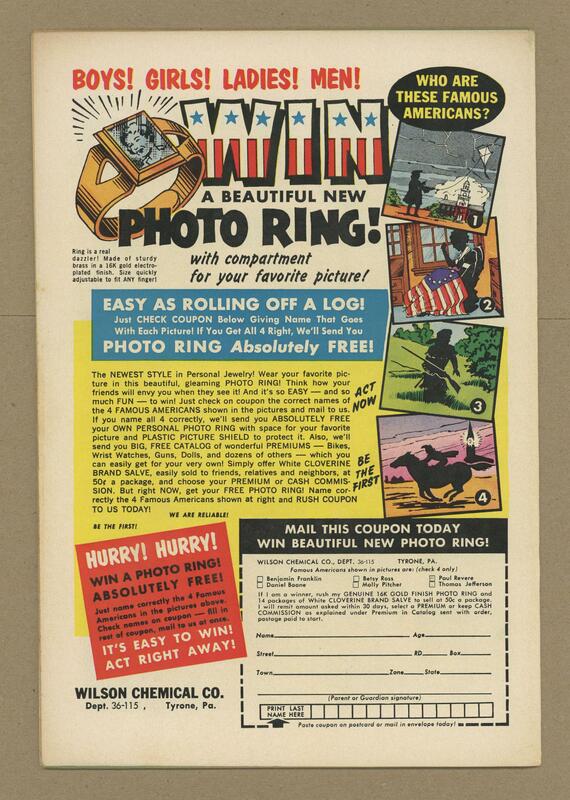 House ad for Secret Origins #1. 32 pgs. $0.10. Cover price $0.10.